This app is currently discontinued. Check here the Terrarium TV alternatives. If you want to enjoy one of the easiest and simplest TV and Movie experiences there is out there right now, you simply have to download and install Terrarium. It looks good and works great! To know more about Terrarium TV click here to read our review. How do you Install Terrarium TV on a Fire Stick? The Amazon Fire Stick is an amazing device. Huddled neatly away behind your TV set, no-one would even know it was there, but this simple little HDMI stick has some pretty amazing abilities when you pair it with the right streaming apps and Terrarium TV is one of these! To install Terrarium TV, you will need to download the APK and as it is not available from the Play Store or Amazon, you are going to have to ensure that you have opened your system up a little bit. Allow me to explain. From your main home screen, go to settings and then select the option entitled Click on this to go into your system setting screen and choose the option entitled developer options. On the next screen, select apps from unknown sources and turn it Also select the option entitled adb debugging and ensure that it is on also. Ignore the message you receive about unknown sources as you can always reverse this after you’ve completed installing the app. The steps above will allow you to install anything that is not in the store, however, you still need to find the app. Fortunately, there is a tool for that too! Go back to your main home screen and in the top left corner, select the search On the screen presented, type in downloader and then select the downloader application. Click get to download it to your system. You will use Downloader quite a bit while customizing your Fire Stick, so get comfortable with it! On this website, simply select the latest version and click to download and install the program to your system. It really is that easy! Before you use Terrarium TV or any streaming app, you really should ensure that you have a VPN in place. Not only does a VPN increase the movies and TV shows available to you, it significantly increases your anonymity and security online. We always recommend IPVanish which is available directly through the search function for 2nd Generation Fire Sticks and even better, we’ve arranged an exclusive deal with IPVanish to give our readers a 57% discount! 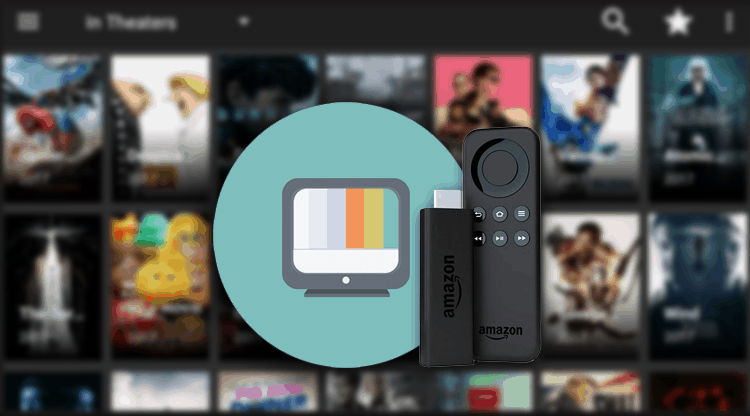 You can read our complete guide on installing a VPN on Fire Stick for more information as well as installation instructions if you have an older model Fire Stick. Configuring Terrarium TV is as easy as installing it. When initially downloaded, you have a choice of video players – I generally prefer VLC but the others are good also. You can then simply click on any title you’re interested in (use the search if you can’t find anything) and choose an episode to play. That’s literally it … it works, and it works really well! You can further customize it by integrating it with your Trak.tv account which I would highly recommend. Simply click on the menu option on the top left and scroll down to Trak.tv and follow the onscreen instructions. Let me know what you think about Terrarium TV – it’s definitely a favorite of mine!